• WP1 Management connects all WPs via coordinating the administrational affairs. • WP2 Scientific Coordination organizes the supervision of the scientific and technological development carried out in the activities. 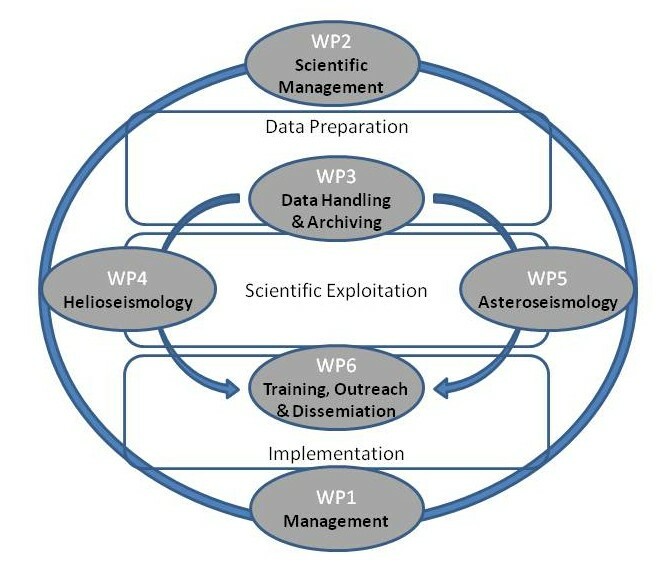 • WP3 Data Handling & Archiving is a joint effort for helio- and asteroseismology to set-up data archives, making data compatible, joining space data with ground-based data, and adding value by the provision of user-services and science-ready data products via a unique platform. • WP4 Helioseismology and WP5 asteroseismology built on the synergies between solar and stellar seismology. 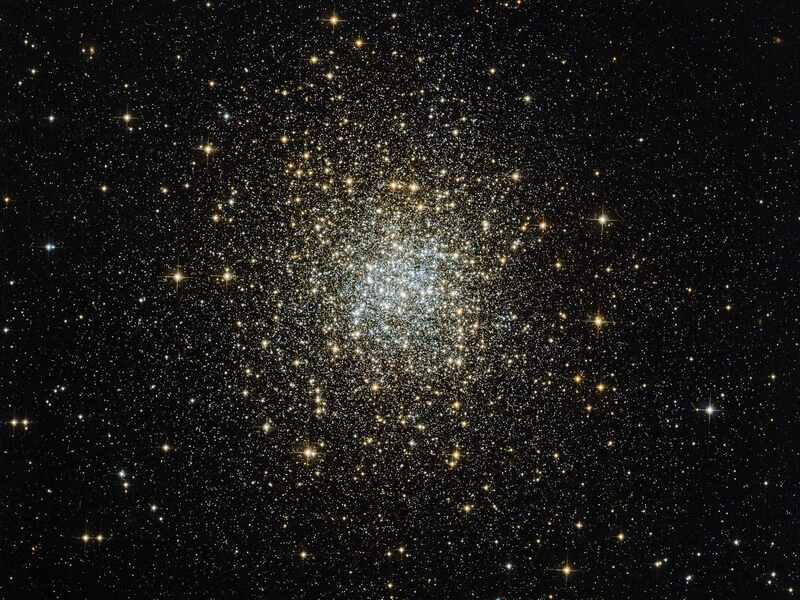 The scientific expertise in helio- and asteroseismology is mobilised to obtain new scientific results from the analysis and interpretation of data from SOHO, SDO, CoRoT, and Kepler in connection with ground-based data from GONG, BiSON, and asteroseismic follow-up observations. The website of the SpaceInn WP4 Helioseismology contains more information on this workpackage. • WP6 Training, Outreach & Dissemination is meant to train other experts in the field of helio- and asteroseismology by making material publicly available and organizing workshops. This WP disseminates the results via publications and press releases.